It was right after the Monday weekly devotion at eloPhotos that Mr Seun Akisanmi informed me that I would have the honor of visiting Kiki Melissa at her Ikoyi studio and having a chat with her. I contacted her that very day and we both agreed to meet on Friday afternoon. She sounded young and upbeat on the phone and I wondered what she was like in person. Friday came soon enough and I headed to 21 Biaduo street, (location of Kiki Melissa studios), accompanied by two colleagues – Tayo and Emmanuel. On getting there, we were welcomed by a smartly dressed, young man named Michael, who informed us that Kiki would join us shortly. 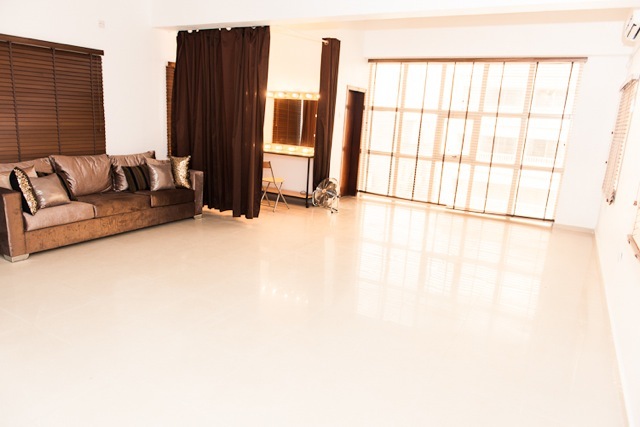 Meanwhile, my colleagues and I admired the studio – the sheer space, the white walls, the makeup room and the photography equipment in view. Kiki soon emerged and even though I had not tried to imagine what she would look like, she was nothing like what I would have thought. Perhaps I imagined a lady dressed in a pink shirt and blue jeans with high-heeled shoes. She was casually dressed like the girl next door and if I had met her in a mall or someplace else, I never would have guessed she was the brain behind Lagos’ finest studio. She was just as young and upbeat as she sounded on the phone. Kiki has this air around her that makes you want to trust her. She had gone to England for school when she was about 12 years old; coming home only about three times a year on holidays. What brought this intriguing lady back to Nigeria? Her love for photography and a desire to make it her full time career. This love for photography was the reason why she left the university after two years, abandoning her psychology degree program. With the full support of her cool parents (only very cool parents would support that decision) and a plan to establish her business in Lagos, she returned to Nigeria some seven months ago and thereafter gave birth to Kiki Melissa Studios. The studio opened April 15, 2013. Her goal is to provide an option for photographers who can not or do not necessarily have the capital to buy expensive gear and set up a studio of their own. 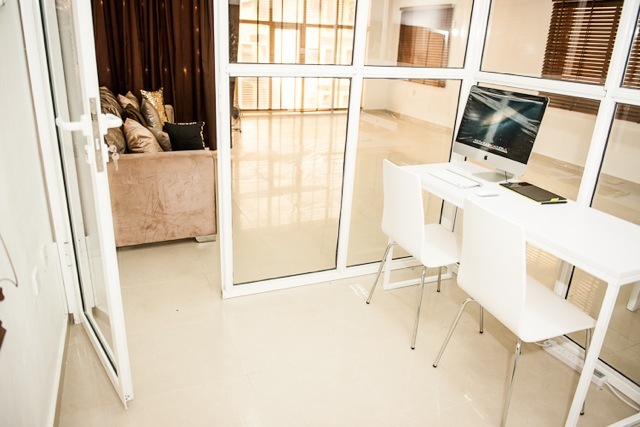 The studio offers a beautiful space and state of the art photography equipment all at an affordable rental rate. When asked about challenges she’s faced as a photographer since returning to her homeland, she cited pricing and also the fact that Nigerian clientele usually don’t appreciate creativity as well as their English counterparts. She also mentioned timeliness which is lacking in our Nigerian culture. This young business woman isn’t too excited when a photographer books a time slot to use the studio and then shows up late so guys, keep to time. When asked what kind of photography she enjoys doing, with a sparkle in her eyes, she said “Editorials and Travel Photography”. Our chat ended about forty five minutes after it started. I had finally met the lady who would rather be called ‘Kiki Melissa’ rather than reveal her full legal name. Kiki would like to be remembered as “someone who changed the game a little bit” where the photography industry is concerned.